As far as I'm aware there are no "OHMSS" film locations in either of these cities and my hunt for further James Bond books to add to my collection proved fruitless. However I was fortunate as our hotel in Zurich was just a stone's throw from the brilliant MovieArt shop. After only a few seconds of entering the store, the owner Marcel greeted us. 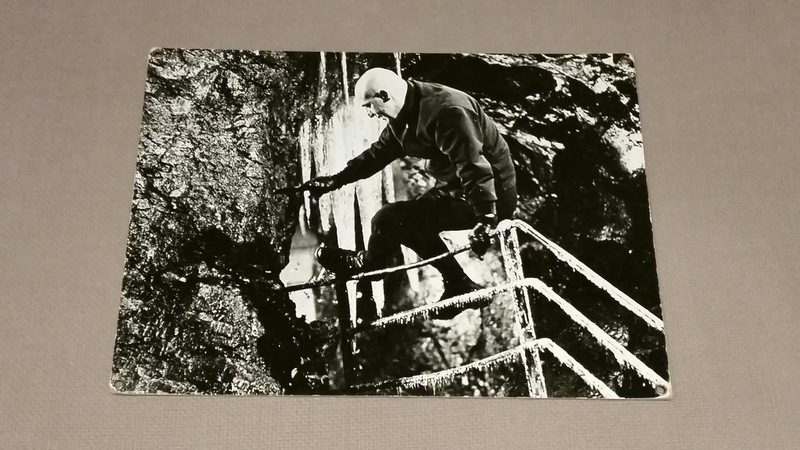 I explained I collected Bond memorabilia and in particular "On Her Majesty's Secret Service". 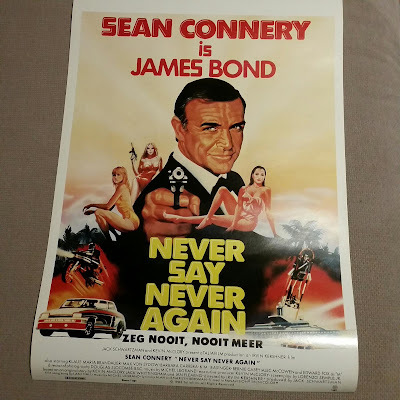 I asked him what Bond movie memorabilia he had and he began to lead me around his store showing me original film posters, repro posters, press release items and framed signed photographs covering the entire Bond series. 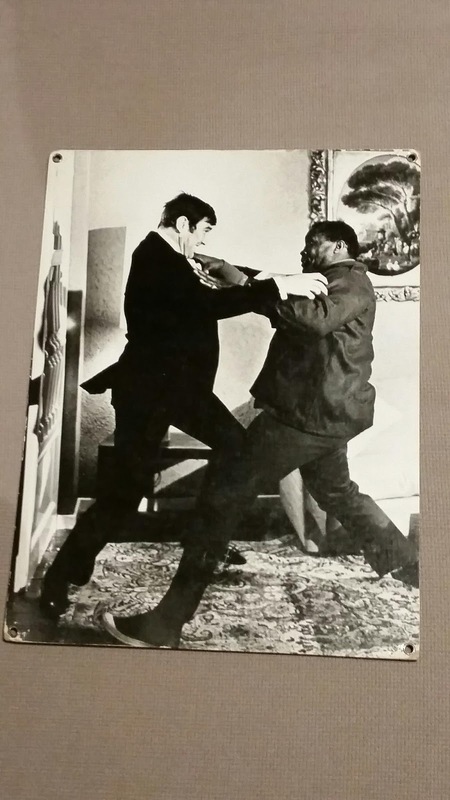 He then sifted through a box near the front entrance before pulling out these two original Swiss lobby cards of "OHMSS" from 1969. I was stoked and immediately grabbed them. I couldn't believe my luck, especially as he had mentioned before-hand he couldn't remember if they'd already been sold. Myself, my wife and Mona departed the store after about half an hour, but I quickly returned. During our earlier conversation Marcel had mentioned he may have some items from the newspaper. Curious, on my return I asked him about these and he swiftly produced a large thick folder from which I also purchased these two great items; one in French and the other in German. He had me hook, line and sinker ! Below are photos of the the newspaper items. Both are really nice pieces and as you can see the first ad has space in the top right hand corner where the names of the Swiss cinemas screening the film could be inserted. 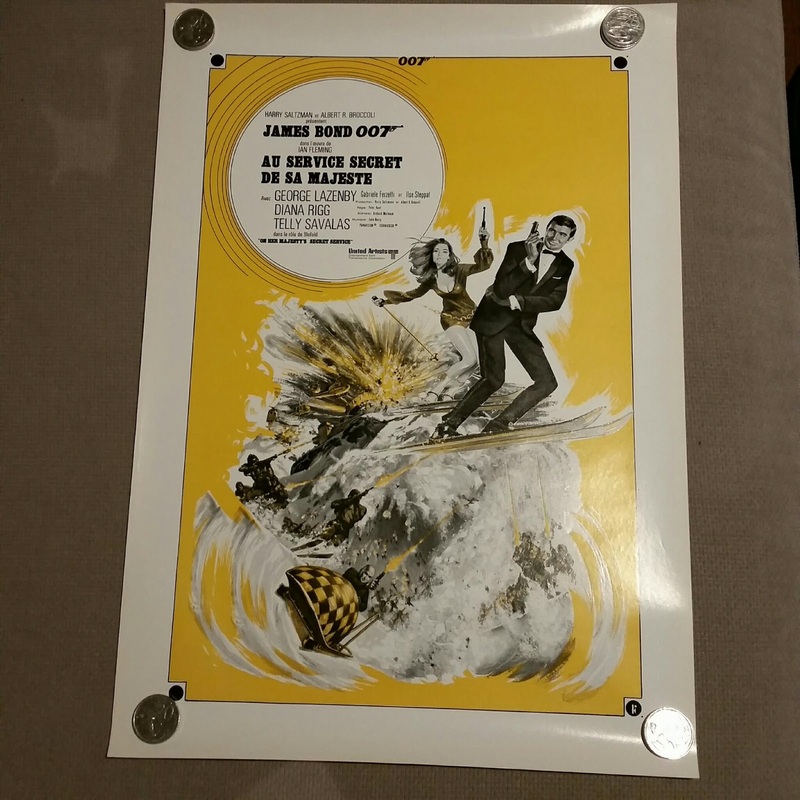 And when I finally left the store there were still several other designs available for this film in his thick folder so if you're interested I'd definitely get in contact with the MovieArt store. Again here's a link to the website. 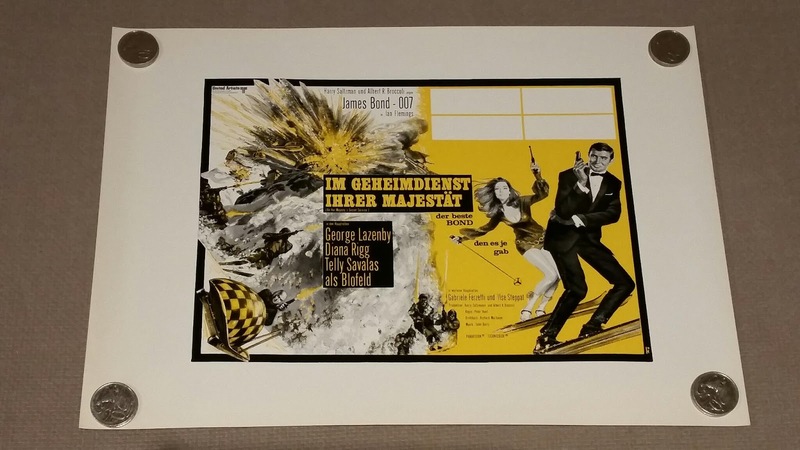 (And no I'm not receiving any commission for this blatant promotion, just helping out other fellow Bond collectors !). Since my return to Australia I have done some investigation on the web and surprisingly it appears these are the only two lobby cards released for the film in Switzerland (but please let me know if I'm wrong). After purchasing these two items, and an unrelated press ad for "Never Say Never Again" I left the store again. I was rapt with my purchases. On a strange note, since leaving Murren (and Schilthorn) it started to feel like I was seeing Piz Gloria everywhere. Here's a photo of a smoke detector in our hotel in Lucerne, and the mountain logo on the Toblerone chocolate boxes that were everywhere suddenly started to look very familiar. After leaving beautiful Switzerland we spent two nights in Singapore before returning home to Oz. I found no Bond novels there though, but I've since learnt I should have visited "Kinokuniya Bookstore". O'h well... there's always next time ! Lobby cards update: I've since contacted Marcel and from his recollection there are at least 10 Swiss "OHMSS" lobby cards so the hunt continues !